I cannot refuse such an offer when it literally walks to me! Part cute and part yummy! Uuuh…that looks very scary… What a darling little thing, it has its own ambitions! 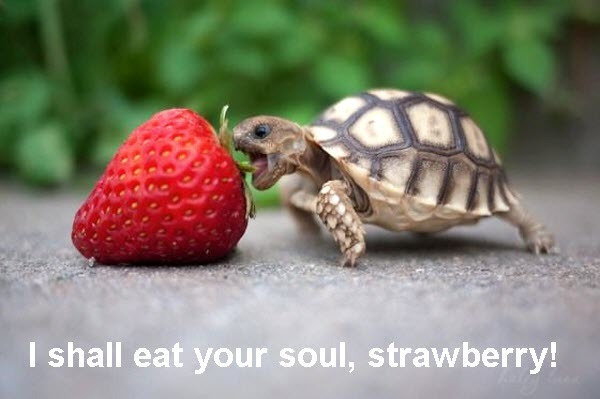 Got to love small turtles! 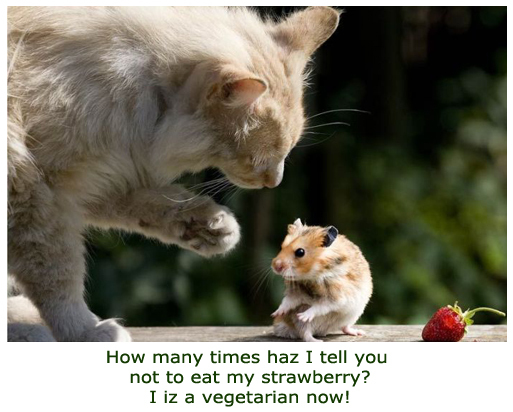 How many times haz I tell you not to eat my strawberry? 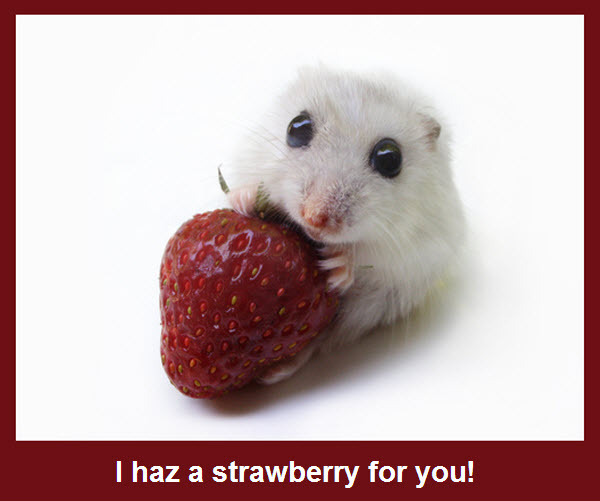 I iz a vegetarian now! 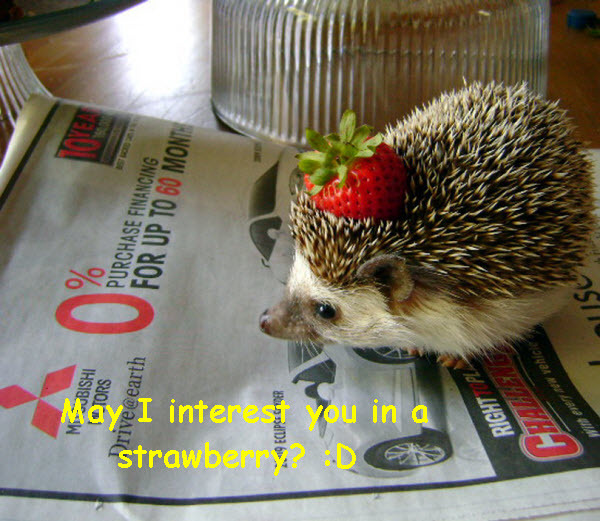 “I likes strawberries a lot. 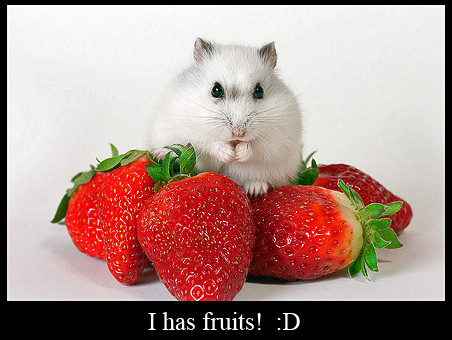 I has one!” I like them too, but I would give all away to see this furry friend eating them!